Liposuction is the removal of excess fat deposits within certain areas of the body. While the goal of treatment is not a replacement for diet and exercise, liposuction improves contours of parts of the body which have not been reshaped through physical activity and healthy habits. Our Minneapolis cosmetic surgeon expertly conducts liposuction on different target areas or in combination with other cosmetic procedures, such as tummy tucks, to sculpt pleasing contours and to create more appealing silhouettes. Mahjouri Cosmetic Surgery & Skincare Clinic helps patients throughout Minneapolis and Saint Paul as well as the surrounding communities achieve the bodies they've always wanted through customized body contouring. Since 1980, Mahjouri Cosmetic Surgery & Skincare Clinic has helped Fridley, Anoka, and Minneapolis patients slim their physiques with liposuction. To learn how else we can help you, contact the office of Dr. Mahjouri today! Mahjouri Cosmetic Surgery & Skincare Clinic offers advanced Minneapolis Plastic Surgery & Skin Care. 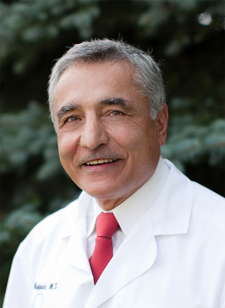 To learn more about why Dr. Mahjouri may be a great match for you, visit Dr. Mahjouri Vitae. If patients are near their ideal weight but are having trouble toning specifics parts of their bodies, liposuction can be used to eliminate bulges created by deposited excess fat. Not every patient needs to undergo a drastic change to achieve results with cosmetic surgery. Sometimes, a patient's physique is close enough to their preferred bodily appearance and needs to be reshaped only in selected areas to meet their ideal body images. Dr. Mahjouri and his staff will spend a lot of time with patients to address concerns they may have about undergoing liposuction or liposelection. When a patient visits our practice for the first time, we will discuss the outpatient surgery center, procedure in full, and set up an examination with our Minneapolis cosmetic surgeon. During a patient's free liposuction consultation, he or she can view "before" and "after" liposuction photos and even invite a loved one to the meeting. We'll also review the patient's medical history and address any of his or her questions regarding the procedure and recovery. Liposuction procedures are varied in their application, as new technologies and techniques are developed. Dr. Mahjouri uses his expertise to recommend what procedures to offer, keeping in mind long-term success leading to the desired results. After providing an anesthetic to help enhance patient comfort, our Minneapolis cosmetic surgeon makes a minuscule incision into the selected site and then uses a cannula to dislodge fat deposits. This fat is then suctioned out from the body by vacuum pressure and the tiny incision is closed. 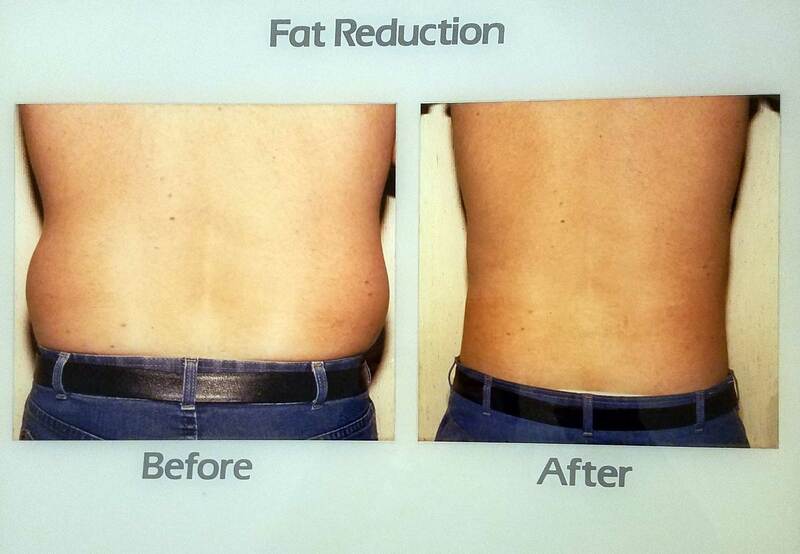 This ultrasound-assisted liposuction loosens and breaks down excess fat and makes it much easier to remove. Additionally, transmitted ultrasonic energy shrinks the overlying skin and improves rippling. The advantage of LipoSelection is that the procedure is faster and less traumatic for the patient due to the fact that there is a minimal amount of blood loss. The procedure uses ultrasonic energy to liquefy coarse fat cells and only targets these cells for removal. A gentle suction and massage of the area removes liquefied fat cells more efficiently. Ideal candidates for LipoSelection are patients who are near their ideal weight and have good general health but want to work on problem areas not responding to diet and exercise. Dr. Mahjouri assesses and recommends which procedure best serves patient needs during his or her liposuction consultation. 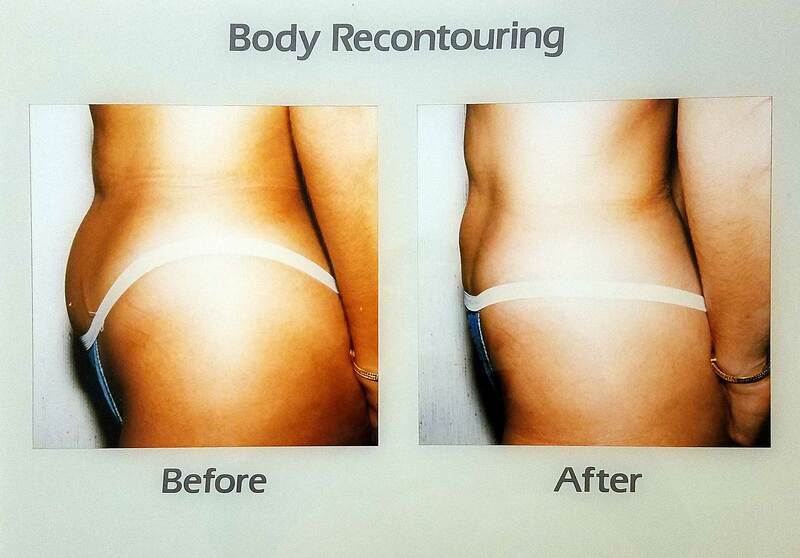 Body contouring involves focusing on the smaller, specific areas of the body patients feel need to be improved. While a liposuction procedure would reduce fat deposits over a broad area such as the stomach or forearm, body contouring focuses on specific fat deposits within the abdomen, hips or upper arms. If patients are concerned that their forearms retain a little too much fat or that they possess extra fat deposits in their armpits or around their necks, body contouring reshapes these areas for a more desirable aesthetic appearance. This process of body contouring incorporates procedures including liposuction and body lifts through the removal of excess skin in areas that have lost elasticity. Liposuction is commonly selected to help target hard to reach areas in order help patients meet their desired shape. Dr. Mahjouri performs standard liposuction and ultrasonic Liposelection. The prices of these procedures vary widely ($1200-$10,000). Our patients commonly have multiple areas of the body done at the same time. The cost depends on what area of the procedure is being performed and the size of each area. Please call to set up a complimentary consultation with Dr. Mahjouri to get the exact cost. Dr. Mahjouri’s dedication to education and experience led to his Certificate of Advanced Education in Cosmetic Surgery from the American Society for Aesthetic Plastic Surgery. Dr. Mahjouri's commitment to excellence has led to strong relationships with his patients and numerous testimonials. No matter the surgery, Dr. Mahjouri’s results speak for themselves. Q: What should I expect during my liposuction recovery? A: Liposuction recovery is rather quick and you should be able to return to work within several days. You should still take it easy and allow your body to recuperate. You can resume normal activities fully in about two weeks. Q: What results should I expect after liposuction? A: You should expect to see results immediately. The treatment process immediately removes fat cells from your body so you should expect to see results very quickly. There may be a period where your body needs to recover from the procedure and allow for swelling to go down. Q: What are the Risks of Liposuction? A: Liposuction risks include, bruising, change in skin sensation that may persist, Damage to nerves, blood vessels, muscles, lungs and abdominal organs, Infection, Irregular contours or asymmetries, Irregular pigmentation, Rippling or loose skin, or swelling. These risks and others will be fully discussed prior to your consent. It is important that you address all your questions directly with your plastic surgeon. Q: How Long Do the Results of Liposuction Last? A: Liposuction removes fat cells and is designed to slim the appearance of the current body. However, just because some fat deposits are removed doesn’t mean the remaining fat cells can’t grow or shrink. If you gain weight after liposuction, your body will not look the way it was meant to after the procedure. If you lose weight after fat removal, the areas of deposit removal will stand out.